Every year, millions of Americans become victims of identity theft. 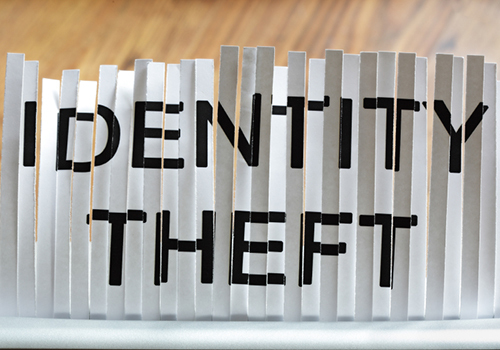 Identity theft occurs when someone steals your personally identifiable information and pretends to be you. They can use this information to open bank or credit card accounts, file taxes, or make new purchases in your name. Posing by phone or email as someone who needs information about you. If someone asks for your number, you should ask why, how it will be used, and what will happen if you refuse. Make sure you give your employer and your financial institution(s) your correct Social Security number, so your records and tax information are accurate. To minimize the risk of identity theft, keep your Social Security card and any other documents that show your Social Security number in a safe place. Do not carry your Social Security card or other documents with you that display your number unless you need them. If you suspect someone’s using your Social Security number for work purposes, report the problem to us immediately by contacting the Federal Trade Commission. We will review your earnings with you to ensure our records are accurate. You may also verify your earnings on your Social Security Statement. You can get your Statement online by opening a personal my Social Security account. If someone misused your Social Security number to create credit or other problems for you, immediately go to http://www.identitytheft.gov and report the identity theft to the Federal Trade Commission. Their website provides detailed information to help you defend against identity theft. You can reach them by phone by calling 1-877-IDTHEFT (1-877-438-4338); TTY 1-866-653-4261. You may also want to contact the Internal Revenue Service (IRS), and file an online complaint with the Internet Crime Complaint Center at www.ic3.gov. Safeguarding your identity and Social Security is of the utmost importance. If you think you’re a victim of identity theft, please act now. For more information, read our publication Identity Theft And Your Social Security Number or visit us online. This entry was posted in Privacy & Identity and tagged Federal Trade Commission, FTC, ID Theft, identity, Identity theft, Internet Crime, IRS, My Social Security, myssa, Social Security Number, Social Security statement, SS Card, SSN, stolen, stolen ss card, tax information, theft by Doug Walker, Deputy Commissioner, Communications. Bookmark the permalink. loan, buy something by credit, and for pay something I must.. all this without Social number I couldn’t anything. why so difficult have it for me?! only 4 digital number they want.. I must do something for donation,I really wanted also, but I cannot use my debit card..I have a issue .. because so need have a credit card… for solve to all..
Congress must ultimately legislate the Old Age Survivor Disability Insurance (OASDI) tax rate – 2.4% 2016, 2.3% 2017, and 2.2% in 2018 when the disability rate stabilizes after the retirement of all the Baby Boomers. The temporary 2.37% DI tax rate 2016-19 of the Bipartisan Budget Act of 2015 is not right. Preventing a premature deficit in the OASI Trust Fund by terminating the temporary 2.37% tax rate in 2019 and reverting to the insufficient current rate of 1.8% fails to bias the tax rate to protect the smaller DI trust fund from abuse. The 2.37% rate alleviates the threat of depletion of the disability trust fund and consequential reduction of benefits. The 2.37% rate does not divide nicely in half for employees and employers and cannot be legislated for everyone’s Federal Insurance Contributions Act (FICA) pay-stub. The 2.37% rate is insufficient in 2016 to pay the 3% Cost-of-living adjustment (COLA) from January 1, 2016. The 2.37% rate is more than is needed in 2017 when savings will be achieved with a tax rate of only 2.3%, going down to 2.2% in 2018, when the disability trust fund again shows a deficit and around 2021 is the first trust fund to be depleted. The disability tax rate needs to express the actual cost of disability with a slight bias to protect the smaller disability trust fund from being prematurely depleted. Because of the insufficiency of the 2.37% rate to afford beneficiaries a COLA in 2016 the 2.37% DI tax rate in the Bipartisan Budget Act must pay a 6% COLA in 2017 and 3% COLA every year thereafter. The less expensive and more economically sustainable alternative to a 6% COLA 2017 is a lump-sum back payment for a 3% COLA 2016 and a 3% COLA from current 2015-16 rates in 2017. The ungarnishable backpayment and 3% COLA might promote sustainable economic growth more than a 6% COLA for less. Other settlements that do not make the 3% COLA law must be interpreted as expressions of insolvency. SSA may choose to pay 6% COLA because it is easier and there is enough money either of the two ways the DI tax rate is accounted. All SSA needs to do is agree to pay 3% annual COLA, including the one they failed to pay in 2016, as a matter of law. The Bipartisan Budget Act of 2015 also recidivated by providing special funding for unnecessary disability redetermination propaganda to deprive beneficiaries of their subsistence. The Actuary robbed some people. The information collection form used by psychologists who are normally hired by these congressional campaigns to deprive the people of their subsistence ask Congress only to be abolished under Paperwork Reduction Act -If the collection of information by the agency is unnecessary for any reason, the agency may not engage in the collection of information under 44USC§3508. Disability Determination Services (DDS) are federally funded agencies in every state to whom are sent applications made to local SSA offices. DDS pays for any medical visits they require for their determination. The Internal Revenues Service (IRS) determines monthly substantial gainful income (SGA) amount for statutorily blind individuals for 2016 is $1820. For non-blind individuals, the monthly SGA amount for 2016 is $1130. There is a trial-work period of nine months to provide beneficiaries with incentive to get back to work. The federal poverty line for one person is $990 a month. How in the World could the Fed Poverty line be $990 per month?! – That is Insane! – 5-years ago it was over $14,000 per year. – What is Congress doing – besides Nothing?! – The Poverty line for an Individual should be at least $1,400 per month minimum!! – And Congress should try to live on $1,400 per month. – What a JOKE our Fed government IS !! How u apply. It on line with out. Pymt with thm . Put a lock on ur s.s.no. with sum uno know ur s.s.no by heart put on his joint in come tax with out ur permission . Theft by taken s.s. no . Under my name w . Wrong b.dob .sum time last yr. Like have a block on it . So nobody cant get it . With out mina permission first. Thank you for your question Vera. If you’re referring to adding extra security to your personal “my Social Security account”, visit our “How We Verify and Protect Your Identity” web page for information. If you’re referring to placing a “lock” on your Social Security number, to help protecting you from employment-related identity theft, please visit the U.S. Citizenship and Immigration Services Website. We hope this information helps. So why does medicare print social security number on their id card? Isn’t there some other account number that could be used? I agree with this. How often are you asked for this? If you don’t carry it with you, what happens in case you need emergency treatment? I agree and have been saying this for years! Me too, absurd you have to carry your Medicare card to obtain medical attention and there is your full SSN for everyone to see! A new Medicare card is coming. The Medicare program, including Medicare cards, is managed by the Centers for Medicare & Medicaid Services (CMS). President Obama signed, before may 2015, a bill that requires the Department of Health and Human Services (HHS) to issue new Medicare cards that don’t display, code, or embed SSNs. There must not be a way to enforce then Law??? The Medicare program, including Medicare cards, is managed by the Centers for Medicare & Medicaid Services (CMS). Here are some suggestions to keep your personal information safe while using your Medicare card. A hospital will ask for Medicare card but if you don’t have it all you have to do is give them the #. They will call and verify it belongs to you. SURE, IS AN ERROR OF ss ADMINISTRATION. It’s a crazy thing. I got my Medicare card and it said “carry this card with you when you go out’. I agree with everyone on this comment that it does not make sense for the government to tell you to keep the information private and then at the same time tell you to carry it with you. Hoping for a change to the card! I agree this is of great concern to me too. Everyone in every medical office has our SS numbers. When are the new cards coming? Hi Mary Lane. The Medicare program, including Medicare cards, is managed by the Centers for Medicare & Medicaid Services (CMS). The Medicare program, including Medicare cards, is managed by the Centers for Medicare & Medicaid Services (CMS). I agree! Like many others, I was surprised to see my SS# used as my Medicare #. Sadly, I doubt we’ll see a change, since this has been the way it’s worked for years and I’m sure it’s been commented on for as long as that. New Medicare card will not display Social Security numbers! Ditto, most states and other places have switched to “linked” numbers but not the SS number, why can’t medicare be more protective? Because Social Security messed up when they printed everyone’s social security numbers on Medicare Cards. However, it will take Social Security millions of dollars to give everyone new numbers for their Medicare cards and they don’t want to spend the money. So I guess we are stuck with possibility of someone working in a doctor’s office from copying down the numbers, etc. Social Security shouldn’t preach to the choir about securing your numbers. Hi Jean. The Medicare program, including Medicare cards, is managed by the Centers for Medicare & Medicaid Services (CMS). Here are some suggestions to keep your personal information safe while using your Medicare card. I don’t know if this is to me or not, but I did try diligently to report and Identity Theft Report in my hometown where it actually occurred. I was hung up on over and over by police offices that should know better. But I was recently informed by a family member they don’t believe it. Well, there you go people that don’t visit with you or talk to you more than once per year when they want to get in your private affairs. I don’t know what to do because I went from a beautiful warm and comfortable home to nothing. I have very clothes, no winter ones, a blanket some man gave me that smells of smoke and I have no money to go have it laundered well enough to rid the blanket of the smell but it does keep me a little warmer. I am very heartbroken that having as many family members with nice homes, plenty of money, clothing, food, and any and all extras that they have no regard to whether or not I even have a hot meal. Unbelievable. I did not cause my theft, some very unkind indiviuals decided because they did not like me that they would do what they could to destroy my life. Way to go, they all draw SSI disability benefits, because they are too fat and lazy to work. No one gives a hoot whether I was alive or dead and have nothing left but this broken computer and broken desk I got out of the trash. Please help before I am homeless once again. i am 73 years old and i have been asking that same question for many years. i was in the hospital last august in north florida and my information was giving without my permission to cancer company and my idenitity along with others was stolen from this cancer center . i have never been to these drs. Hi Marg. Generally, reports and investigations of identity theft are handled by the Federal Trade Commission. You can find more information in their website: http://www.idtheft.gov. Or you can call them at 1-877-IDTHEFT (1-877-438-4338). This is ridiculous in this day and age!!!! The IRS is in the process of redacting all Social Security Numbers for all correspondence. There is no reason why the SSA cannot do the same. What is the reason the SSA has not taken this obvious step to secure our information? The one real concern I have always had is the information provided to doctor’s offices. The turnover in receptionists and the number of persons having access to personal files makes me wonder just how safe is my social security number. It is even printed on the Medicare card. Mr. Wicker makes a very good point! Employees in medical offices, clinics, hospitals, dental facilities, etc. are not bonded. Any one of them could take a patient’s private information @ any time. I also have heard of these places disposing of records improperly, leaving all this patient info available for the taking to anyone who happens upon it. Wake up insurance companies and Medicare! Please find a better way of identification!!!! Very true. The only way to protect this widely used number is to prohibit anyone from even asking for it other than legally obligated financial or governmental institutions that are required for reporting purposes. We understand your concern. Under current law, Medicare providers need to know your Social Security number in order to provide you the benefits to which you are entitled. Generally, they only have to see and verify your Medicare card at the time they provide initial medical services. The Medicare program, including Medicare cards, is managed by the Centers for Medicare & Medicaid Services (CMS). Here are some suggestions to keep your personal information safe while using your Medicare card. All well and good, but I have Medicare. Every time I go to a doctor I have to supply my Medicare number, which is basically my Social Security number. There goes my SS# confidentiality. My identity was already stolen a couple of years ago ,I think at a health care facility. I will have to deal with the consequences of that for the rest of my life. I do take appropriate precautions to protect my SS#, so until you can separate my Medicare ID from my SS ID, please don’t talk to me about taking precautions. Thank you for this important information, I will keep a copy of the tel. nos. and websites you made available. I was wondering why every letter I received from the IRS; whether just follow up info., or instructions, all have my full social security number on it. Why is that? With identity thieves stealing mail, a IRS letter would be a prize to look for. Perhaps the SS no. should be shortened to the last 4 digits. I am over 75 now and during all these years I have noticed that SS# of anybody is so easy to steal. We know office workers in many types of offices can steal them. I heard that call centers of US Banks located in south asian countries have been hacked and information was compromised. The workers then sold packets of 1000 #s or 5000 #s at dollar each . There has to be a better way for SS Admins to safeguard the numbers. I don’t show my Medicare card at doctors’ offices because my Medicare HMO issues its own card that I must use for doctors’ visits. Nonetheless, they still want my SS number also. On the SS card it says it’s not to be used for identification purposes. The HMO handles all billing and payments–not Medicare! If need be, I have both a State and City picture ID card. SS#s are in most public records (courts, deeds etc.) and easy to steal. There is no way to really protect it when every medical facility, employer and government agency has it then you have to call it out to these same places many times whenever you need to work with them. The problem with the social security number was that it was created for just one agency to use….hence the name. The “world” discovered it was the perfect unique identifier. I doubt the agency granted permission for everyone else to use it. If it was used by one agency it would barely (if at all) be a problem. That is why Social Security does not handle non-agency ID theft issues using the number per its web pages-its use was probably never authorized. That said, because it is wide used the agency (and another agency–Medicare) must adapt. However, the number is how all your records are kept by Social Security so you cannot NOT use it officially or on your W-2 forms. There must be hundreds of millions of numbers issued and thousands of people with the same name. You cannot get away from using the full number for official purposes either. However, having read up on ID theft in Forbes and Money magazines, too many people put their numbers at risk by carrying it with them routinely (number one on both their “don’t do” lists. One of the ways to have less government and reduce its costs is to stop creating opportunities to have your own identity taken as all taxpayers have to pay for this. Until Medicare numbers change, that will be hard to do with that card in particular though. The first step in protecting senior citizens from fraud will be to remove social security numbers from Medicare cards. I was shocked when I applied and my Medicare card was mailed to be with my SS #. Seniors can be forgetful, and it is easy for cards to be lost. So let us fight to have the SS# removed from Medicare Cards. Thank you. For more than a decade, we and other Federal agencies have recommended taking Social Security numbers or SSNs off the Medicare card. However, the amount of money and effort this would take has prevented it. The good news is that a new Medicare card is coming, one that will no longer display a cardholder’s SSNs. Please contact Centers for Medicare & Medicaid Services at 1-800-633-4227 (TTY 1-877-486-2048) for additional information or other questions about this matter. Get our socials off our Medicare cards NOW! A new Medicare card is coming, one that will no longer display a cardholder’s SSNs. Please contact Centers for Medicare & Medicaid Services at 1-800-633-4227 (TTY 1-877-486-2048) for additional information or other questions about this matter. I tried to get help via Chat option. I received a call back from a “technical support” person and when I explained that I was having trouble submitting my application she rudely threw me to music on hold where I’ve been sitting over 20 minutes. My application keeps telling me my earnings page is not complete and I have retyped 6 times and still get a ! warning sign. We are sorry to hear you are having trouble applying online, and regret to hear that we did not provide the level of customer service you expected Mary Ann. If you are still having difficulties completing your application, call 1-800-772-1213, Monday through Friday, between 7 a.m. and 7 p.m. Representatives can assist you with your application online. If needed, they can also help you schedule an appointment with your local Social Security office. Generally, it is best if you call later in the day or later in the week. Thanks! One of the best deterrents to having the SSN misused would be to stop using it as an identifier on Medicare cards!! It took years to get the IRS to take it off the address labels when it sent 1040s to homes. It was unbelievable how long it took to get the IRS to understand privacy rights while it, also, pretended to “educate” folks about keeping their SSN secure. The SSA has done little to get the change made to Medicare IDs so having the SSA do these PR blogs, etc. does little to help resolve the situation. Hi Barloso. The Medicare program, including Medicare cards, is managed by the Centers for Medicare & Medicaid Services (CMS). Here are some suggestions to keep your personal information safe while using your Medicare card. Another joke from SSA. First it was get a cellphone with TEXTING to securely log into your SS account. Now they say protect your SS# from ID theft. Well one good way would be to take it off your Medicare Card where every doctors office you visit you have to give this #. Doctors office have non vetted personnel which change often. There goes your SS#. Under current law, Medicare providers need to know your Social Security number in order to provide you the benefits to which you are entitled. Generally, they only have to see and verify your Medicare card at the time they provide initial medical services. The Medicare program, including Medicare cards, is managed by the Centers for Medicare & Medicaid Services (CMS). Here are some suggestions to keep your personal information safe while using your Medicare card. SS is responsible for the largest HACK of all…they DO NOT KEEP YOUR STUFF SECURE!!!!!!!!!!!!!!!!!!!!!!!!!!!!!!!!!!!!!!!!!!!!!!!!!!!!!!!!!!!! Great news! A new Medicare card that will not display Social Security numbers. Our Social Security Number (SSN) should be treated as a PUBLIC RECORD, as we treat our Names, Addresses, zip codes, Date of Birth, etc. SSN have been requested by ALL banks I have account, all landlords, all credit cards, all utility companies, all HR departments. Even when you don’t qualify for the account/job/etc, they have your information. You have NO idea how they protect information they store. Let’s face reality: hundreds, if not thousands of people have access to your SSN. As that said, let’s STOP treating SSN as a secret information because it is NOT. What is WORSE than an Organization trying to AUTHENTICATE you using a public information that thousands of people have? Once again, SOCIAL SECURITY NUMBER is NOT a private record. Sorry about the reality shock. junk import items to apply to auto insurance etc. I recommend….. TO NO AVAIL, years ago …. that PIN numbers be added to Social Security Numbers. Allow the PIN numbers to be controlled and changed by each owner. Same concept in use many years by commercial finance operations. Mandate pin numbers whenever establishing a financial account. Finally, someone with a constructive thought! what happened if somebody use your social because he has bad credit to have a good credit. If you think someone is using your number, there are several actions you can take. Visit our Frequently Asked Questions web page for more information. A question. The Social Security # was only meant to be used for Social Security alone. In fact, because of concern about government intrusion in peoples’ lives if it became a national identification # used for many purposes, it was promised that it was only intended for this one purpose when the law establishing Social Security was before Congress.. That statement at the bottom of your card saying it isn’t to be used for ID purposes also referred to the #. So my question is, why hasn’t Social Security ever done anything to do prevent it’s wide spread use . The idea that one can keep it secret is absurd as now you can’t get a driver’s license or go to a doctor or dentist unless you are willing to give your #. Hi Steve. The use of the Social Security number (SSN) has expanded significantly since its inception in 1936. Created merely to keep track of the earnings history of U.S. workers for Social Security entitlement and benefit computation purposes, it has come to be used as a nearly universal identifier. Anyone can refuse to disclose his or her number, but the requester can refuse its services if you do not give it. Businesses, banks, schools, private agencies, etc., are free to request someone’s number and use it for any purpose that does not violate a federal or state law. Sometimes they will issue a different number if you ask. Where can I get help and assistance for my father Social Security benefits his worked from 1950 to 1962 on Guam during the Trust Territory of the Pacific Islands (TTPI) under the United States Navy controlled the TTPI from a headquarters in Guam until 1951, when the United Ststes Department of the Interior took over control, administering the territory from a base in Saipan. After his work in Guam and Saipan he moved to Kwajalein to continued working from 1963- to 1977 under the United States Army with the Global. Later he work in Kosrae, Federated Ststes of Micronesia with some private business company and Kosrae, FSM government sector until he retired from his job. I am looking forward to hearing from your expertise in this very urgent matter. Unfortunately and because of security reasons, we do not have access to personal records in this blog. Your father should contact his local Social Security office or call us toll free at 1-800 772-1213. Representatives are available between 7 a.m. and 7 p.m., Monday through Friday but you will generally have a shorter wait time if you call later in the week. If outside of the continental United States, he should contact the local U.S. embassy or consulate for any assistance related to Social Security benefits. It’s a reality, when we received the medical services through the Medicare Identification, all employment of the medical offices know our Social Security Numbers, and each opportunity they requested for this identification card. We need the new Medicare Card that will not display our Social Security Numbers, in order to protect our identity in the medical services forever. We understand your concern. Under current law, Medicare providers need to know your Social Security number in order to provide you the benefits to which you are entitled. Generally, they only have to see and verify your Medicare card at the time they provide initial medical services. The good news is that a new Medicare card is coming. The Medicare program, including Medicare cards, is managed by the Centers for Medicare & Medicaid Services (CMS). This is junk. The government forces me to carry my social security number because I have to carry my medicare card. I will try to get my senators and representative to shut down this money wasting site. My local SSA office was in such a rush to charge me for a $33,000.00 ovoveroayme until they completely overlooked the depth of my injuries and still to this day, insinuates that I’m working, saying,” Due to changes in my income”, I will receive $122.00 per month . Even all the hospitals I was in, and, their own veterinarian said differently. Somebody needs to remind them that I didn’t scam my way into the US, nor am I trying to destroy the US . I’m a Baptist, ex- Marine, non-crininal,was a hard working American citizen, that always followed the law whether local, county,state,or federal . Now, for trying to do just that, I’m being treated far worse than they treat their known enemies . They have an agenda for sure. Better carry those documents if you plan not to be accused of a rediculously made up overpayment, or be from Syria . I am receiving SSD due to 8 surgeries in the past 2years. I went back to school as an adult, a single mother with a 2year old daughter, with no child support, etc. I went through all the clinical rotations, working for free, etc. After working in the Operating Room for 8 years, I had my first surgery, which turned into a domino effect with major, unrelated surgeries. Somehpw, throughout all of the paperwork, my social security card was asked for and then I never got it back. I filled put application for a replacement ss card. I sent a signed copy of my NCDL, a copy of my birth certificate, signed. My application and documents were mailed back to me, stating i didnt provide necessary documents. I cannot drive. I need my social security card. Please help?!?! Hi Keely, if you’re born in the United States and already have a Social Security number, and you are not changing your name, you will only have to provide us with documentation for proof of identity. We prefer a state issued ID card with a picture. However, we will consider another official document such as a health insurance card, school ID card or U.S. military ID. All supporting documents must be originals. For complete instructions, and to see if you qualify to apply for a replacement Social Security card online click here. Thanks! – Quanti giornalisti in romania ha fatto ufficialmente interruzione di gravidanza, interruzione di BUONA PAROLE e gravidanza buona e pagato nel cimitero serbo da lucian? – Сколько журналистов в Румынии официально сделал прерывание беременности, прерывание беременности платные и хорошие на сербском кладбище от Лукиана? – Hány hivatalos román újságírók tettek AMC megszakítás a terhesség, szerb temető lucian jó és fizetett terhesség megszakítás? Under the law signed by President Obama, that allows the Social Security Administration to issue the new cards, will be implemented by CMS (Center for Medicare- Medicaid Services). They have 4-8 years to issue the new cards. Identity theft is not the only crime that is hard to catch, like discrimination, it continues on for years. Identity thieves understand they are hurting people and damaging their lives, the SOCIALIST SECURITY SYSTEM does that same thing to adult disabled children who choose to marry an able bodied person. The adult disabled children who marry an able bodied person is victimized by special “Rules” the SOCIALIST SECURITY system used to justify their modern day discriminatory acts. D. 7 Şubat 1982, D. Matache şarkıcı ve şarkı tüm hoparlörler ve mallurilor hipermarket Romanya şarkıdan \ “ne ve ben yemedim ve rasarit\\\ mutlu olmak var” ve bu kurtulmak üzerinde tv herkesin önünde kendimi kendi salonumda girdiğinizde, d. 28 Temmuz 1924 benim dedesi olimpia “mutlu yıllar” diyor. Russia Olympian Team, Russia Federation registration number 5213 5045 5516 7728 / 28.07.2016. Interesting comments . Just to add my thoughts , if someone is interested a CMS-L564 , my company filled out a sample form here https://goo.gl/0Wtd2k. Is it illegal for websites to show a persons FULL Social Security number? Rootsweb.com does. I was looking for a relative on there and his FULL Social Security number was listed. It is a division of Ancestry.com. Opens up another can of worms. By the way, he is deceased. He has also disclosed date of birth, and mother’s maiden name. He is providing the ingredients for identity theft/fraud. It is very concerning and feels like harassment. Is this legal? Do I have any recourse? What steps do you recommend I take? I have already locked my credit down. Hi Teresa. Generally, reports and investigations of identity theft are handled by the Federal Trade Commission. You can find more information in their website: http://www.idtheft.gov. Or you can call them at 1-877-IDTHEFT (1-877-438-4338). You are required to place your ss# on your checks when you pay your medicare premiums. Any bank teller or someone stealing from your mailbox when you get your notices now have all the information they need. Does the Social Security Administration keep your social security card when you apply for a name change? I went to my local social security office today to get a card with a new name, and the employee gave me back all of my paperwork except my current card. I asked her why she kept it since I had to change my name once before and they gave me my old card back. She said they should have taken it in the past as well. Is there an official policy of seizing social security cards when someone applies for a new name? Now I wish I had insisted on getting my card back and destroying it myself! Hi, Nia! Thanks for your question. Any returned Social Security cards are immediately destroyed to protect an individual’s private information. Can I put a freeze on my SS# to prevent someone else using it illegally? Self-Lock is the unique feature that lets you protect your identity in E-Verify and Self Check by placing a “lock” on your Social Security number (SSN). This helps prevent anyone else from using your SSN to try to get a job with an E-Verify employer. Please visit the Official Website of the Department of Homeland Security for more information. I am applying for captioning to my cell phone due to severe hearing, and upon requesting with a Phone Captioning Provider, from whom I have purchased a land phone with captioning; now asks for the last four digits of my Social,in order to process..
How can I be secure in letting that be known? This does not tell you how to protect your identity once your card has been stolen and how to prevent Identity theft from happening when all of your personal information/cards have been stolen. Police report was filed, and created a My ss account. But how do i protect myself further from the thieves using my number for personal gain or identity theft? Hi Jaime. Generally, reports and investigations of identity theft are handled by the Federal Trade Commission. You can find more information in their website: http://www.idtheft.gov. Or you can call them at 1-877-IDTHEFT (1-877-438-4338). Also, see: Protecting Your Social Security Number from Identity Theft, for more information. Thanks! hello my name is Tenisha Wagstaff. I want to know how do I put a block on my kids social security number. someone keep using their number every year to file taxes. I want to block them from using it. I don’t know who it is. I just want to block their ssn. Thank you for contacting us, Tenisha. Individuals can choose to block electronic access to their Social Security record. However, you may use this service -only- to access your personal information. See what you can do online and Learn How to Protect Your Social Security Information from Unauthorized Access. Please contact us at 1-800-772-1213 for further assistance. Representatives are available Monday through Friday, between 7 a.m. and 7 p.m. Thanks. Why do I need to give my ssn to see a doctor. Federal or state id that complies with the federal Id Act should be sufficient. I did not realize my name would be posted to a public blog. Please delete my full name from the January 15, 2018. Blog posting immediately. It was posted at 2:03 pm. Hi Joseph, if you think someone is using your Social Security number, there are several actions you can take. 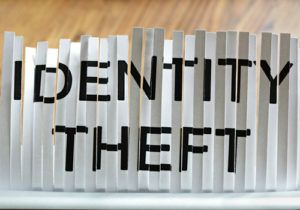 If you suspect identity theft, report it to our Office of the Inspector General and visit http://www.identitytheft.gov. Also, you can choose to block electronic access to your Social Security record. Click here for more information. how can i put a pin on my daughter and mine social security number? What are the steps for getting a IP PIN number for my personal account? Hi Gary, please call 1-800-772-1213 for assistance. After you hear “Briefly tell me why you are calling,” say “Help Desk” for help with a my Social Security account. Hi Audrey. Generally, reports and investigations of identity theft are handled by the Federal Trade Commission, you and your mother can find more information in their website: http://www.idtheft.gov or by calling 1-877-IDTHEFT (1-877-438-4338). To learn more about the steps individuals can take to prevent or resolve issues of identity theft, read our publication: “Identity Theft and Your Social Security Number”. We hope this helps. I’m interested in obtaining a list of persons/institutions that are entitled to be given your SSN. I understand an employer being given access to that information. However, can a child be blocked from attending a school if you’ve provided a birth certificate and other pertinent information? Hello Bea, giving your number is voluntary even when you’re asked for the number directly. The decision is yours. • What law requires you to give your number. The answers to these questions can help you decide if you want to give your Social Security number. anyone can refuse to disclose his or her number, but the requester can refuse its services if you do not give it. Businesses, banks, schools, private agencies, etc., are free to request someone’s number and use it for any purpose that does not violate a federal or state law. Sometimes they will issue a different number if you ask. This was a hacker and not he has my social and birthday and address. If a person has questions about any communication—email, letter, text or phone call—that claims to be from SSA, please contact your local Social Security office, or call Social Security’s toll-free customer service number at 1-800-772-1213, 7 a.m. to 7 p.m., Monday through Friday, to verify its legitimacy (TTY number at 1-800-325-0778). Thanks. See: “What should I do if I think someone is using my Social Security number?“. Thanks! Who can legally ask for my SSN? Who am I required to give my number to? Do I have to give it to an association for a back ground check? When visiting the DMV with ID necessary to renew my drivers license I think I lost my original Social Security card with my MAIDEN NAME on it. Are there any protective steps I should take? I believe I dropped my Social Security card with my name on it out of my folder while applying for a document requiring multiple ID’s. Are there any precautions I should take? I can’t open a social security account because I live in Canada and the form will only take an American state address and zip code. Canada’s postal codes are six digits. I need help. We apologize for the inconvenience, Lorea. You are correct! You need a U.S. address to register for a my Social Security account, but you do not need a U.S. address to access our website or to file online for benefits. We recommend that individuals living outside the United States contact their nearest Federal Benefits Unit. Also, our Office of International Operations home page provides more information to assist our customers living abroad. In your case, you can also use the Canadian Service Area Directory to determine which Resident Office is near you. We hope this helps! At the bank today. Had to give my SSN to the bank to put on my wife’s account. Informed my SSN has multiple users. More than one (me). Please respond. This is a quick advice for anyone in my shoes, suffering from infidelity. if you suspect your partner is cheating on you, or he/she is gradually changing in attitude, i advice you try to monitor him/her before its too late. contact Ben now to help you monitor your partner’s phone and computer activities, with this you will be able to know all his cheating activities. My partner cheated for many months, i was suspecting him but i couldn’t catch him until i used Ben’s service, I easily got proof he was cheating, then i confronted him, he told me he was honestly sorry and he has stopped since then. That was what i had to do to save my relationship. You may need such service to save yours too, contact Ben and tell hIm what you want. Send him a message on Whatsapp:+13173425836. My landlord is asking for a copy of my social security card. The landlord already has my credit report and approved my application. Is this request standard and should I give them a copy of my card? I believe I am the victim of ID THEFT FRAUD. I can no longer gain entry to my account online AND I have letters from Medicare that say, “NO MONEY IS TAKEN OUT FOR MEDICAL PREMIUMS, BUT,”. . . . My bank statements show each month that monies have been removed prior to me receiving the deposit into my bank account. I’ve been to the Social Security Office over 28 hours (5 days) without correction or help from a human individual (only auto-menus). Hi Joseph, see “What should I do if I think someone is using my Social Security number?” for information on this topic. Thanks! If you think someone is using your Social Security number, there are several actions you can take. For information about changing your Social Security number, visit our Frequently Asked Questions web page. Thanks! I just received a call from the number 1-773-373-9244 saying my ss number has been compromised. Is this an actual number from the social security office? We think my 83 year old fathers social security card has been stolen, what do we need to do? Hello Cassandra, there are several actions you can take, if you think someone is using your Social Security number. For information about how to apply for a replacement Social Security number card, click here. Thanks! My social security card was stolen and I need to contact the 3 major credit bureaus. However, I do not know their names. If you know who these companies are, could you please send them to me; along with phone number. Hi Bridgette, please visit The Federal Trade Commission website to find this information. Thanks! Someone has been applying online for loans and credit cards using my name, address and my wife’s cell phone number. They have also signed up with the USPS Informed Delivery program to track and possibly re-direct my mail. I am afraid that they may have my Social Security number. Hello James, there are several actions you can take when you suspect someone is using your Social Security number. Please visit our Frequently Asked Questions web page for complete information. Thanks! I have filed a fraud report requesting that My social security be reviewed due to a number of calls and emails that I have received from debtors stating that I owe money due to charges that were not mine. I visited the social security office in Laconia hoping to get assistance and was told that I had to file on line which I had already done. In addition I am unbale to obtain a student loan because is listed that I had taken one out in the 80’s when I have never taken a loan. I lost my wallet some time ago and now I am feeling that someone is using my identity. Is there anything that the social security administration can do to help me at this point. We are sorry for these inconveniences, Kevin. If you think someone is using your number, there are several actions you can take. Go to our Frequently Asked Questions web page for more information on that topic. To report identity theft and get a recovery plan, visit IdentityTheft.gov. Thanks! Must I give my husband’s and my ss number on a Application for Residency. New Owners and they are requesting our numbers. I dealt with my identity stolen in 2007 and have become very leery about giving it out. We have lived in this mobile home park for ll years, but the new owners want this info. Hi Annette: If someone asks for your number, you should ask why, how it will be used, and what will happen if you refuse. Make sure you give your employer and your financial institution(s) your correct Social Security number, so your records and tax information are accurate. See our blog post on Protecting Your Social Security Number for more information. My purse was stolen. I want to report that my SS card was in there as well. Hi Fern. The Department of Homeland Security (DHS) created a Self-Lock process. Locking an SSN helps stop individuals from using stolen SSNs to gain work authorization through E-Verify. Read more at https://www.uscis.gov/mye-verify/self-lock. To learn more about the steps individuals can take to prevent or resolve issues of identity theft, read our publication: “Identity Theft and Your Social Security Number”. We recommend you only obtain a replacement Social Security card if you need one. You will rarely need to show it. Knowing your Social Security number is what is important. However, if you must get a replacement card, you will need to gather documents proving both your identity and citizenship status. To see if you’re eligible to apply for a replacement Social Security card online or to learn more on the process and what documents you will need to get a card, visit our Social Security Number and Card web page. I can’t tell if my report was complete. My ref. # is 102892522. It appears to me my email address and temp password were not accepted. If someone has acquired my SSN illegally, can I have an alert placed the number so that no one other than myself can use it? Or did I have to get a new SSN? I would like to know what the new numbers indicate. Which part of the number is dedicated directly to me — are some of the numbers mean my location or anything that is standard. I like to carry a replica of the card with certain numbers blocked out so that at least an agency knows I have a card and can get back to them. Would like to know what part of the card is relevant to me specifically. I have not received a CP01A Identity Protection Pin. When are or were they mailed? I do not see where one has been issued to me by utilizing the on-line account. Hi Teresa, thank you for using our blog. The Internal Revenue Service (IRS) is the agency that issues the Identity Protection Pins. You can contact the IRS at http://www.irs.gov or call their toll-free number at 1-800-829-1040. If a person that have NOT worked by Him/Herself and not worked the minimum 10 years or accumulated the minimum required 40 points what ARE THE REQUIREMENTS THAT THE SS. SECURITY I.G OR any other department, LIST the facts /needs to probe the wrong doing to SS. please RESPOND. I received recorded calls saying my number was being used for suspected activity. Hi Metta: If the caller is claiming to be from Social Security—it is critical that you pay attention to the tone and content of the message from the caller. In some cases, the caller states that Social Security does not have all of your personal information, such as your Social Security number (SSN), on file. Other callers claim Social Security needs additional information so the agency can increase your benefit payment, or they threaten that Social Security will terminate your benefits if they do not confirm your information. This appears to be a widespread issue, as reports have come from people across the country. These calls are not from Social Security. What entities am I required to show my SSN too. It seems, to me, that some business require my SSN such as Auto Dealerships to acquire a loan. Is this valid? Also, what about businesses that only use it to check my Credit rating. Hi Anthony, thank you for using our blog to ask you question. If someone asks for your number, you should ask why, how it will be used, and what will happen if you refuse. Make sure you give your employer and your financial institution(s) your correct Social Security number, so your records and tax information are accurate. For additional details, check out our Frequently Asked Questions web page on giving out your Social Security number. I am trying to file my taxes and I need a PIN number. I where do I find that at. Got a call that there was questionable activity with my ss#. I hung up, and the phone # did not appear in my “recent calls.” I also can’t sign on to MySocial Security… Does not recognize my user name/password. Afraid someone may be using my account. Waiting time to speak to someone was 45 minutes. I am also on vacation now in Florida. Please tell me what to do, as tax time is near. Hi, Martin. Thanks for checking in with us. Keep in mind we do not usually make random calls. If anyone receives calls saying that they are from Social Security, do not give out any personal information. Suspicious calls should be reported to the Office of the Inspector General at 1-800-269-0271 or online. You can find additional information here. Just a reminder – please be cautious about posting personal information on social media. We hope this helps. phone scam say to be social security, want me to call. Their phone #956-377-4541,called several times and I j just hang up. Thanks for letting us know, Forrest. We do not usually make random calls. If anyone receives calls saying that they are from Social Security, do not give out any personal information. Suspicious calls should be reported to the Office of the Inspector General at 1-800-269-0271 or online. You can find additional information here. We hope this helps. Hello I received a call from this number 1 800 516 6136 today around 10:54 am, they said that I have problems with my S.S. and you are prosecute me. I ask to send me a letter telling me what I did wrong. But woman get mad to me. Please can you lrt mr know if something is wrong with my Social Security? I never received my new social security card. How can I check to see if it was ever mailed to me? What should I do if it has been lost in the mail? I received a phone call from Oceanside California saying I should call them immediately as my Social Security number had been compromised. Is this a scam? Thanks for checking in with us, Daphne. We do not usually make random calls. If anyone receives calls saying that they are from Social Security, do not give out any personal information. Suspicious calls should be reported to the Office of the Inspector General at 1-800-269-0271 or online. You can find additional information here. We hope this helps. Mr. Peter Maxwell called me from 832-220-5730,stating my SS account was to be suspende due to fraudulent claims I had been using. He wanted to know my SS, DOB,and State I came from. I did give DOB and last 4 of my SS, and State I came from. Did not give the town I came from or the first five digits of my SS. He also gave me a number of my case file as DC7010. He continued to asked for my SS number. I would not give him the rest, then he hung up. Hi, John. We do not usually make random calls. If anyone receives calls saying that they are from Social Security, do not give out any personal information. Suspicious calls should be reported to the Office of the Inspector General at 1-800-269-0271 or online. You can find additional information here. We hope this helps. Hi Kimberly, thanks for using our blog. Generally, identity theft issues are handled by the Federal Trade Commission. Visit http://www.identitytheft.gov to report identity theft and get a recovery plan or call 1-877-IDTHEFT (1-877-438-4338). Visit our Frequently Asked Questions web page for details on what you can do if someone is using your Social Security number. I recieved a phone call today supposedly from the Social Security Administration’s fraud investigations department. I was assisted by an Indian accented male from what sounded like a very busy call center, the phone number being (332)876-4256. When I asked why they hadn’t informed me by mail or email of suspicious activity rather than calling me by using an automated message, the man on the phone hung up. I am wondering how to verify that this was a phishing call or if it was indeed Social Security informing me of fraudulent activity. I did not find this information specified on the site. Hi Angela: If the caller is claiming to be from Social Security—it is critical that you pay attention to the tone and content of the message from the caller. In some cases, the caller states that Social Security does not have all of your personal information, such as your Social Security number (SSN), on file. Other callers claim Social Security needs additional information so the agency can increase your benefit payment, or they threaten that Social Security will terminate your benefits if they do not confirm your information. This appears to be a widespread issue, as reports have come from people across the country. These calls are not from Social Security. I have received 5 call over the past two days claiming to suspend my SS# due to suspicious activity. This is an obvious scam but it coincided with my Facebook acct being hacked. Perhaps you can trace this to its origin and shut down the site. Trying to report an attempt of information re my social security number. Rcv’d call stating that my card was involved in fraud. Phone number came from a New York 845-440-1943. Asked I call an investigator at 508-281-9573. Did a reverse look-up and both numbers were tagged as FRAUD. A private practice medical office recently refused to register me as a patient unless I gave them my SSN to use as an identifier. Is this legal?